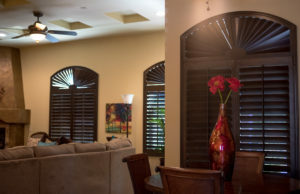 Custom Plantation Shutters in El Paso | Eleganzza Granite Inc. 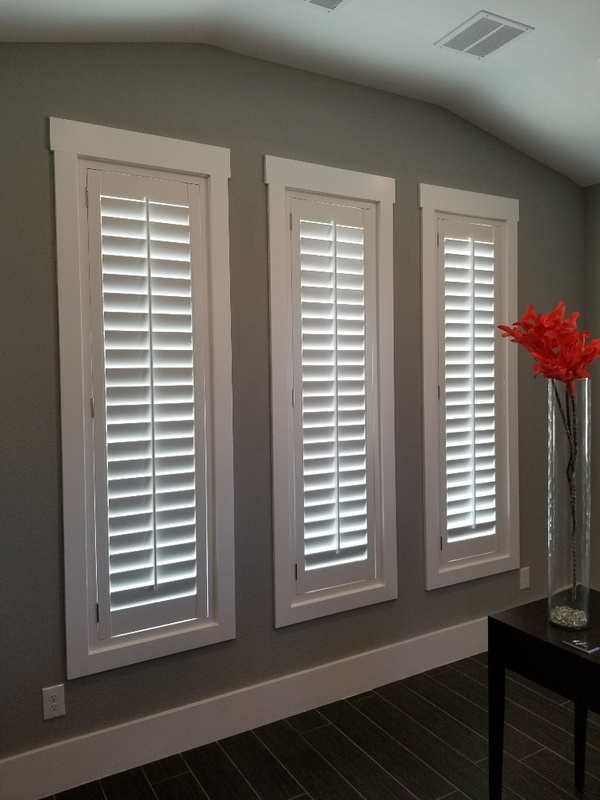 Custom Plantation Shutters in El Paso | Eleganzza Granite Inc.
Plantation shutters are known for their simple yet beautiful design. It’s no surprise, then, that homeowners in the El Paso area choose them as their go-to option. At Eleganzza Granite Inc., we offer a variety of wood options to give homeowners optimal choice when it comes to plantation shutters. We also offer custom shutter options so your new additions can be tailored to your style and needs. 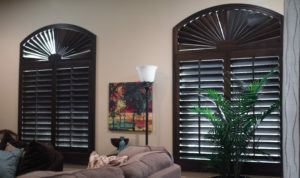 On top of being aesthetically pleasing and easy to use, plantation shutters offer a wide variety of benefits that make them the best choice for homeowners in the El Paso area. Since cities in the Southwest see a lot of sunlight throughout the year, it’s necessary for homeowners to be mindful of the fact that this sunlight can cause the internal temperature to rise. Direct sunlight can also cause furniture and carpets to fade, giving them a used, aged look. Plantation shutters give homeowners the ability to quickly and easily block out any direct sunlight, all with the simplest motion. No longer will you have to run your home’s air conditioning unit in order to achieve a comfortable indoor temperature. By simply installing shutters, your home will become more energy efficient. Since plantation shutters are made of large wooden shutters, they’re easier to maintain and keep clean. Since they’re made from durable, resilient wood, plantation shutters are able to last much longer than regular blinds. Although regular blinds may cost less, they’ll undoubtedly require regular maintenance on a regular basis. Custom plantation shutters, on the other hand, are built to last and won’t get stuck or stop working as they’re meant to any time soon. Another upside of plantation shutters is their safety. Due to their succinct design, plantation shutters don’t require dangling cords commonly associated with blinds. Dangling cords can be a major hazard for households with small children. By installing plantation shutters, your home will be a safe place for all. Custom Plantation Shutters from Eleganzza Granite Inc.
Not all plantation shutters are the same. In fact, at Eleganzza Granite Inc., we offer many wood options to create your custom plantation shutters. Let your creativity flow and let us bring your dream plantation shutters to life. Not only do plantation shutters increase your home’s appeal and aesthetic beauty, they can also translate into tax savings if you decide on selling your home. The IRS considers shutter installation a capital home improvement. Contact Eleganzza Granite Inc. today to learn more about what we have to offer!